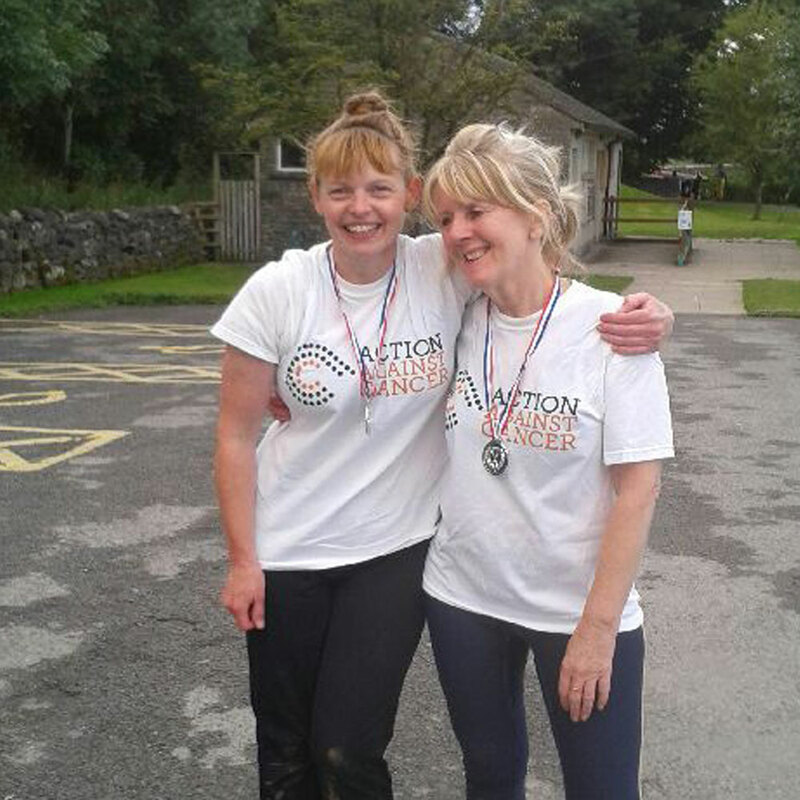 My dear friend Bet and I decided to complete the Yorkshire 3 Peaks Challenge in 12 hours in support of Action Against Cancer, since we both have friends and family who have been affected by cancer. The Yorkshire 3 Peaks Challenge covers a distance of 24 miles, incorporating Pen- y- Ghent (694 metres), Whernside (736 metres) and Ingleborough (723 metres), with a total climb of some 5,200 feet. The walk was relentless over a variety of rugged terrains, which tested our endurance and stamina to the max. Bet and I were thankful that we had managed to complete at least five weeks of fairly intense hill walking and training prior to the day. Each peak presented it’s own unique physically demanding challenges. Ingleborough was particularly steep, and whilst the ascent up Whernside was less steep, our resilience was tested when mist descended and sudden driving winds and rain left us feeling cold and very wet. However, nothing could diminish our determination to continue the walk. Fortunately the sun arrived to dry us out and restore our enthusiasm! The scenery was stunning, with a 360 view at the top of Ingleborough including the Dales and Lake district. The camaraderie of all the walkers was brilliant and spurred us on, making it enjoyable even when it felt we had almost reached the limit of our endurance. The support and knowledge of the guides ensured that we competed the challenge within the allocated time and I am happy to report we finished the challenge safely, exhausted but elated, in 11 hours 40 minutes. Success. We have managed to raise £868 for Action Against Cancer, which has made it even more rewarding.